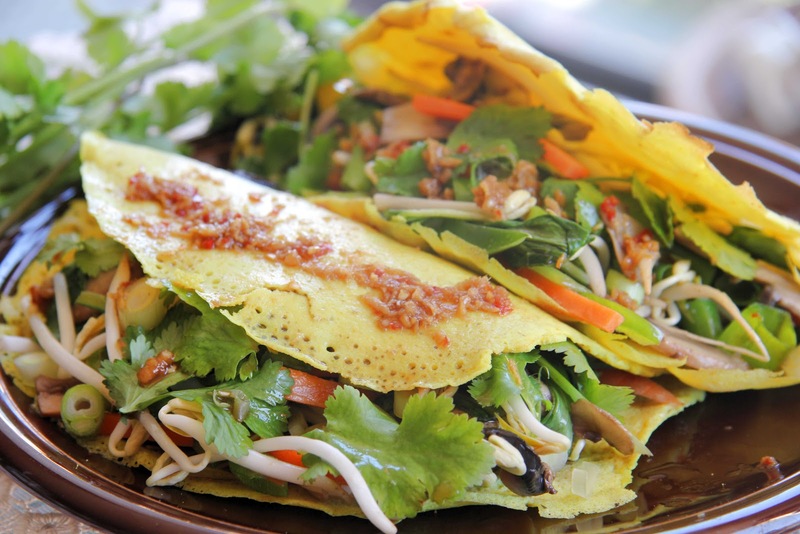 Vietnamese Pancake is one of many Vietnamese traditional delicacies that tourists esp, from Japan, Korea, Taiwan want to try during their come in Vietnam. It probably originated from Mekong Delta. But at the same time we have many variations in each area. 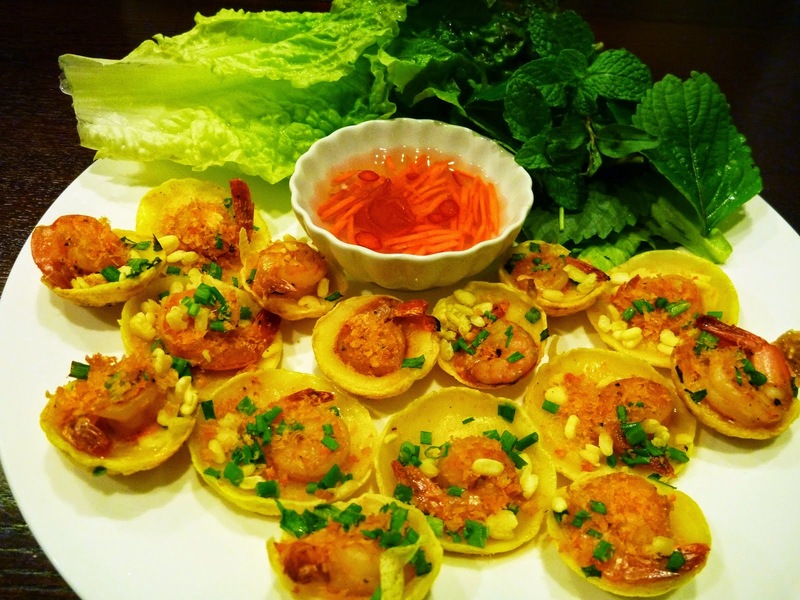 In north some other ingredients has been added or in central, bánh xèo is smaller, especially in Huế - bánh xèo has another name, much smaller and served with different dipping sauce! Ingredients to make Banh Xeo filling: Made from rice flour mixed with water and coconut cream sauce, the yellow comes from turmeric powder! The filling is usually made from fresh shrimp, pork belly, bean sprouts, peeled green bean, mushroom (fresh or dried), carrot (optional). Vietnamese Pancake is a special cake which must be tasted by 5 senses. The eyes are used to see how it’s made and its beautiful yellow color when it’s ready. The cook must be patient because he has to sit or stand to make one by one Vietnamese Pancake by a big pan on fire. Don’t forget to smell when the cook open the lid. The crepe is served on a plate with assorted herbs, pickled carrot and dipping fish sauce. The dinner will use his fingers to wrap a piece of Banh Xeo and fillings in rice paper or bean leaf with other herbs. It’s time to dip the roll in the fish sauce dip and tuck in. You will use your tongue to feel the amazing taste of this food. Where to eat best Banh Xeo in Vietnam? I think you also can make. Not so difficult to prepare bánh xèo at home, nowadays we can buy a pack of bánh xèo mix powder from supermarket. Bring it home and mix with coconut cream sauce, water, then when we fry, add whatever we want - shrimp, pork! Don't miss the sound that became the name of this glorious speciality.